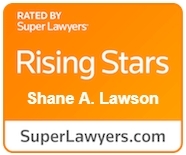 Shane Lawson defends lawyers in legal malpractice litigation, and represents clients in construction disputes, fire loss claims, and wrongful death cases. Shane Lawson is a partner at Gallagher Sharp who focuses his practice on representing attorneys in complex legal malpractice litigation and disciplinary proceedings. Shane also counsels and represents businesses and insurers in claims involving fire loss, and defends clients in construction disputes and personal injury cases in state and federal court.